What have fast food and soft drink licenses given the gaming world? Doritos offered XBLA’s fastest route to a higher Gamerscore with racing advergame Dash of Destruction – but even greater, it turns out, were the contributions of 7 Up and McDonalds. It’s on these licenses that Shiny, one of the finest forgotten developers of the ‘90s, cut their teeth. In a roundabout way – and in an image Shiny animator Doug TenNapel could have drawn – Ronald McDonald birthed Earthworm Jim. Like a dash of weird with your wonderful? There’s plenty among the best indie games on PC. The nascent Shiny team first coalesced under the direction of Dave Perry at Virgin Interactive, on a game called Global Gladiators. Maccy D’s nightmarish, face-painted mascot appeared at the opening to send two teenagers into dangerously toxic platforming levels armed only with Super Soakers – but composer Tommy Tallarico remembers the 1992 game as “far ahead of its time”. Soon afterwards, 7 Up put forward their own mascot – an anthropomorphic red dot sporting sunglasses – for the platforming treatment. In this way the group that would come to put a garden worm in a space suit honed its skills – not to mention its engine, sound drivers and colourful graphics. By the time of 1993’s Aladdin, on top of all that, they had a reputation. It’s testament to their success that the team were able to name terms that would have contemporary developers drooling like Peter Puppy, Jim’s hulkish canine companion. Swearing off licensed work, they demanded almost total autonomy. Turning down bids from EA and Virgin, the new Shiny Entertainment eventually accepted the money of Hong Kong toy company Playmates. They promised spin-off cartoons and t-shirts, and better still, had no experience whatsoever in interfering with game development. The idea that would launch a thousand Playmates lunchboxes came from Doug TenNapel. The budding animator pitched an invertebrate who has power literally thrust upon him, in the form of a super suit that falls from an airlock into his garden home. 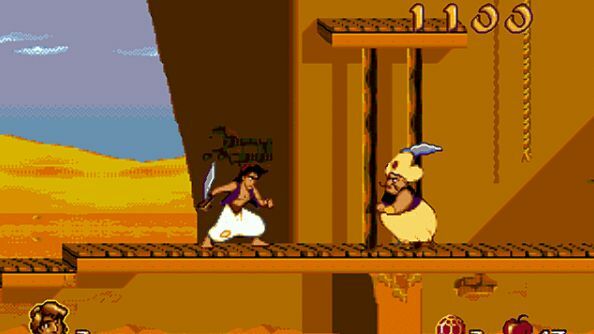 The resulting game retained the classic Disney squash and stretch of Aladdin and delivered a masterclass in combat-centric platforming – one that took players not only from left to right but also up, down and occasionally forwards through wormholes. Working without a design doc, comedy became Shiny’s litmus test for feature inclusion. Earthworm Jim’s vision of hell was occupied by lawyers and fire-breathing snowmen; Tallarico’s soundtrack cut between Mussorgsky’s Night On Bald Mountain to – what else? – elevator music. When Earthworm Jim and its sequel became hugely successful, spawning the promised Saturday morning TV show, that design process became enshrined as the Shiny way of doing things. 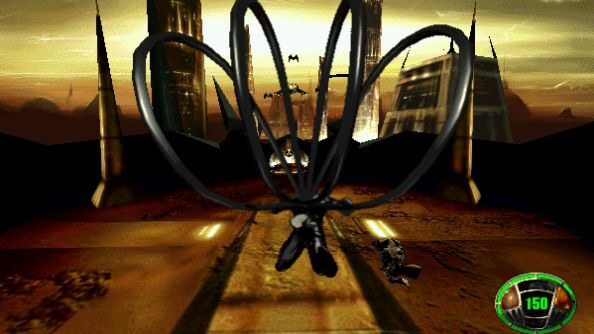 Bruty led the company’s next game, MDK, which solidified the Shiny hero – a common-or-garden protagonist plucked from reality to face an oddball universe. Janitor and comedic straight man Kurt Hectic set out to save Earth from city-sized alien strip miners, aided by a four-armed dog, mad scientist, and perhaps the first zooming sniper rifle in PC gaming (“A lot of people think it was Goldeneye N64 but we did it two years earlier,” claims Tallarico). 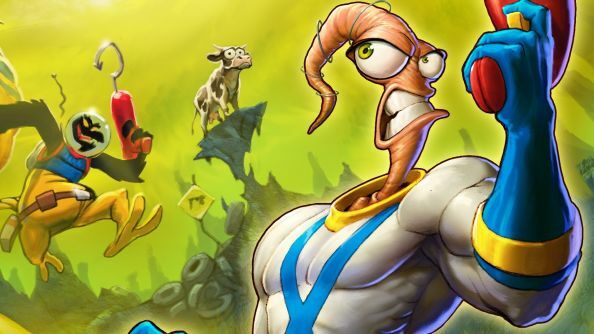 Like Earthworm Jim’s, the comedy could be “very broad and offensive”, but pulled from a British sensibility. MDK sold well, but was the last of Shiny’s inventive adventures to do so. Messiah, a third-person possession sim starring a cherub named Bob, was bogged down by bugs. 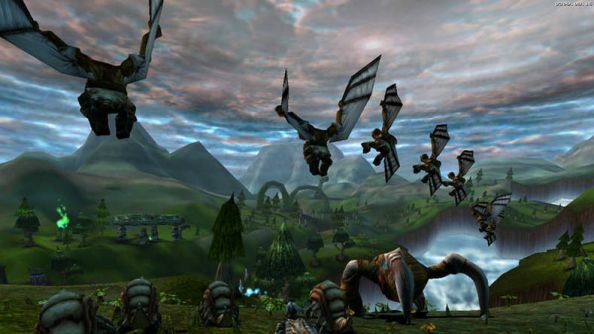 Ambitious third-person RTS Sacrifice was critically adored, but the studio’s tendency to double-down on personal passions seemed now to confuse an audience weaned on C&C. Post-millennium, Shiny were married to The Matrix – the kind of license Perry and his team had intended to leave behind at Virgin. 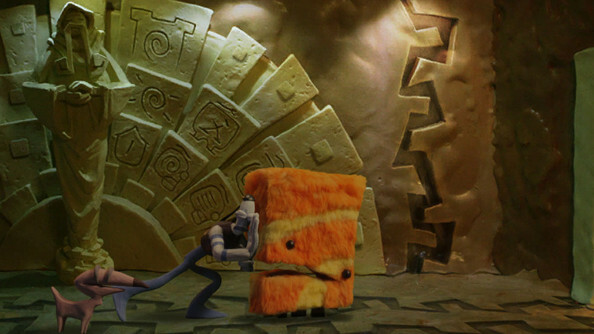 TenNapel had long since left to make claymation point-and-click adventures like The Neverhood and 2015’s Armikrog, while Bruty built a spiritual successor to MDK at his own studio, Planet Moon – the inspired Giants: Citizen Kabuto. Bruty has since struggled to fund his ideas, however. After a failed Kickstarter for First Wonder last year, the designer’s newest outfit concluded they simply “couldn’t find the audience”. “None of these were mega-sellers,” he acknowledges. It’s hard to know where the Shiny spirit resides now. 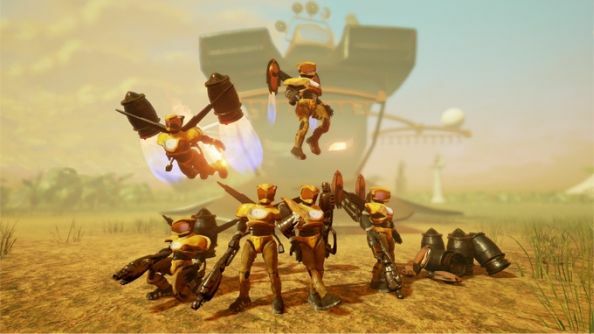 There are parallels in Double Fine’s games – the absurdity and ramshackle RTS leanings of Brütal Legend and Iron Brigade; the possession mechanics of Stacking and Headlander. Marc DeForest, head of Heroes of Newerth developers S2, once told me that Sacrifice was the key inspiration behind the studio’s pre-MOBA FPS strategy series, Savage. The Shiny name finally succumbed to a merger in 2007. 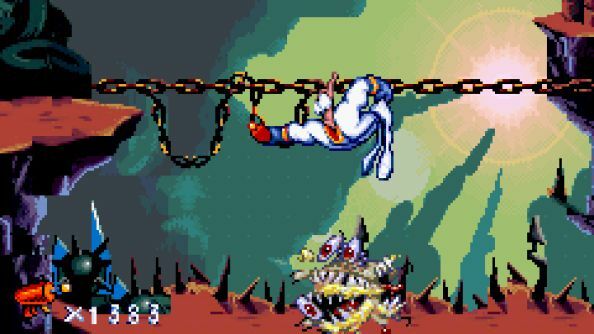 But the core Earthworm Jim team had released their last hurrah nearly a decade earlier – the little-known 2.5D PlayStation platformer Wild 9. The team remain close – sharing fan mail and dreaming of another Earthworm Jim. Their thoughts carrying them to outer space for shoulder-barging encounters with Psycrow, under the ocean to face Bob the Killer Goldfish, and to distant phlegm planets for boss fights played out over bubbling pools of mucus. “We all still want to get back together, even though we all own our own companies now,” says the composer. Now compère of Video Games Live and a serial Guinness World Record collector, Tallarico has a certificate commemorating the fact that he’s worked on over 300 videogames. But he still holds out hope of winning the Earthworm Jim license back from Interplay and heading to Kickstarter with his “band of brothers”.